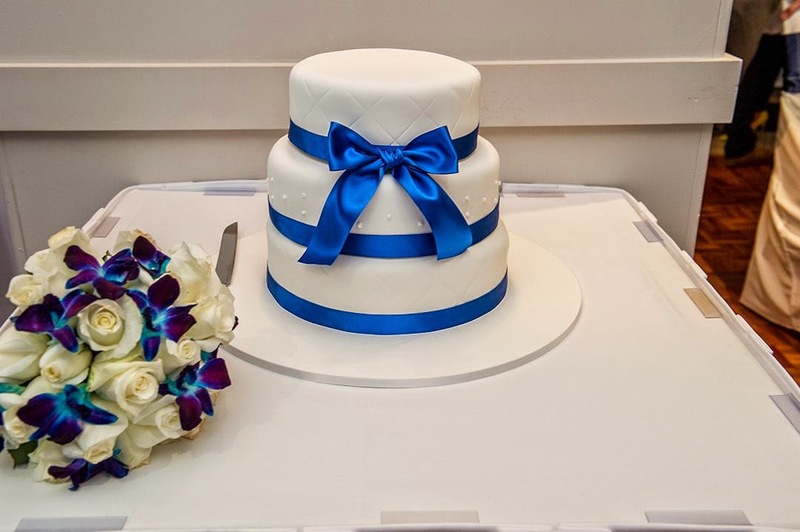 When I first saw Sarah's striking wedding colours I was instantly drawn to how vibrant the royal blue is! 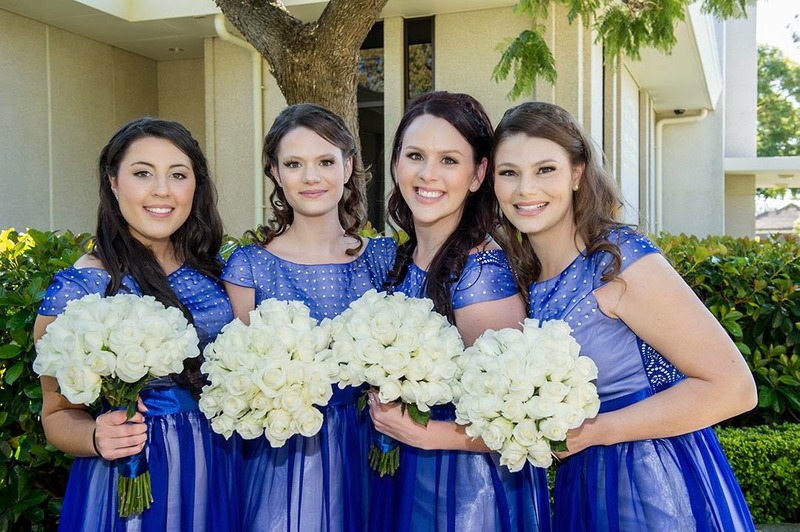 'Well, my favourite colour is blue, so I always knew that I wanted blue as my wedding colour. I think it's really elegant and stunning! 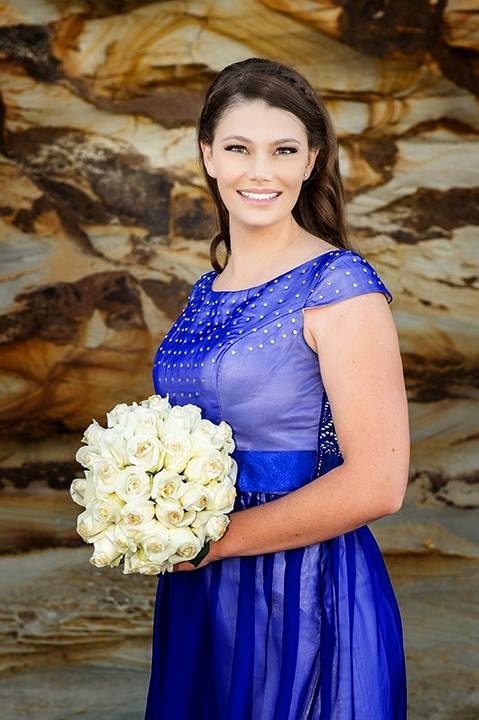 I used Pinterest a lot in the beginning of my wedding planning as it has heaps of ideas. 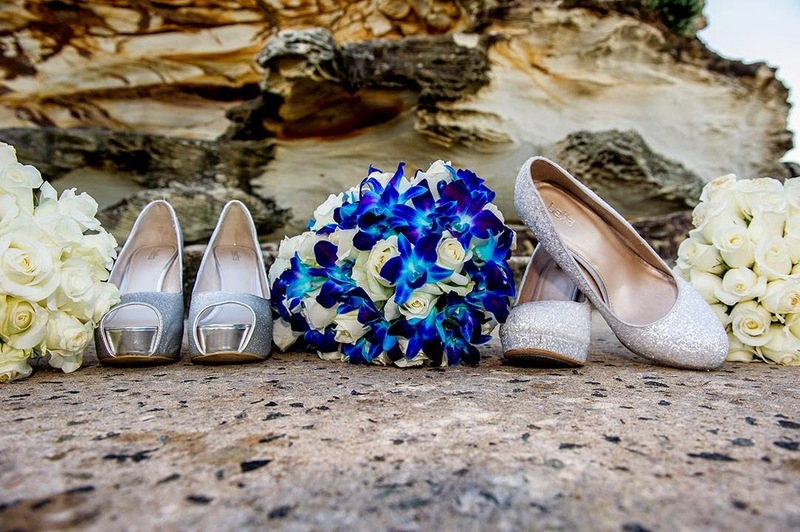 'As for me, I saw a picture of a bouquet and fell in love with the blue orchids! It matched the girls perfectly and I thought that the tear drop just looked gorgeous! I thought about putting white lilies in it, but decided against that as no one else had lilies. Thank you Sarah - we're glad we could help make your day so special. 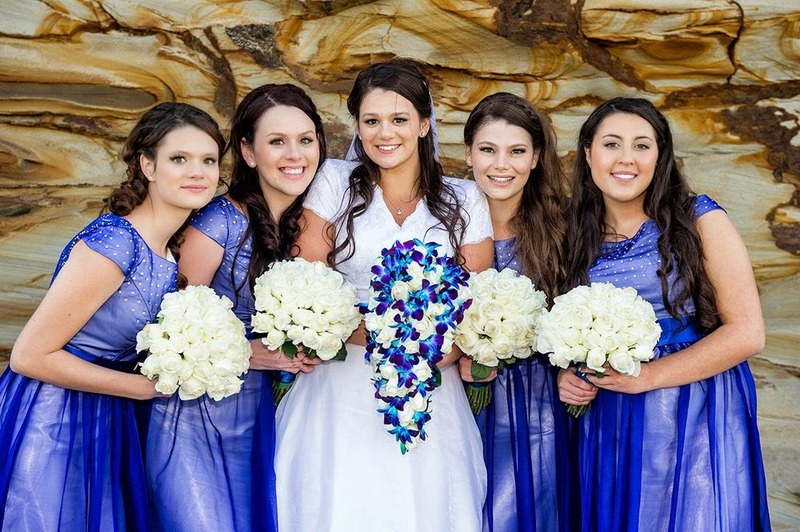 The blue singapore orchids and white roses worked for such a beautiful teardrop bouquet. 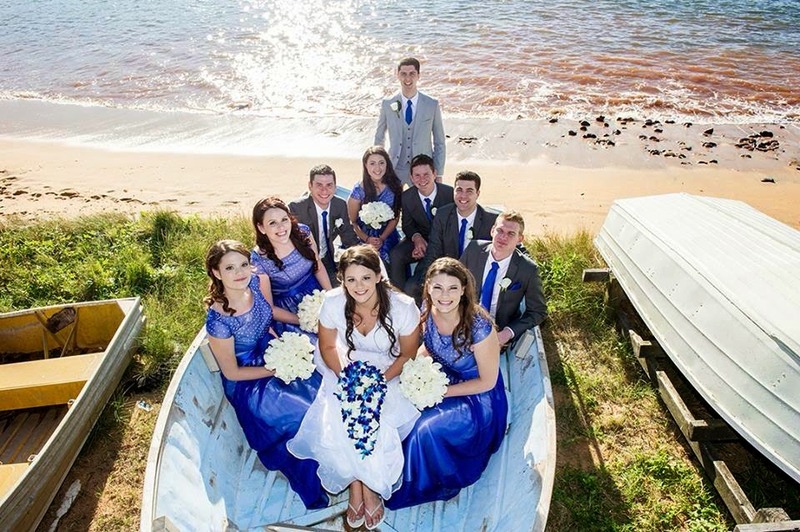 And being a beach wedding in winter, you had such a beautiful day too! 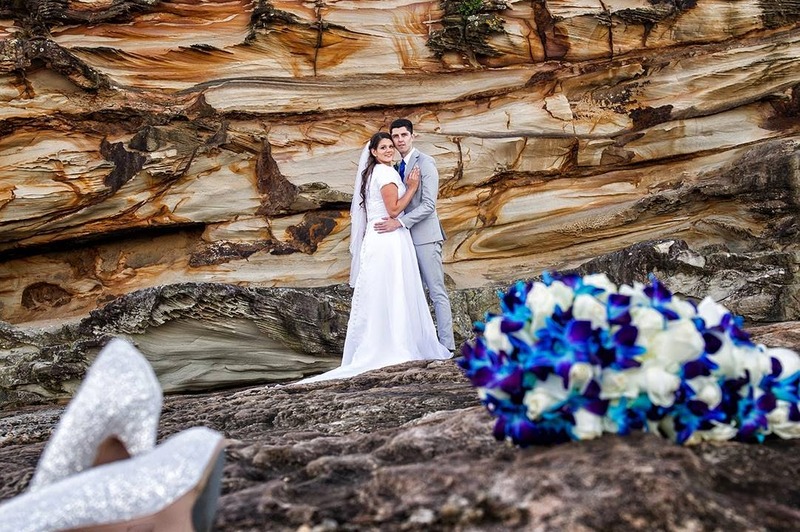 The sandstone alcoves are a stunning backdrop for your wedding photos. 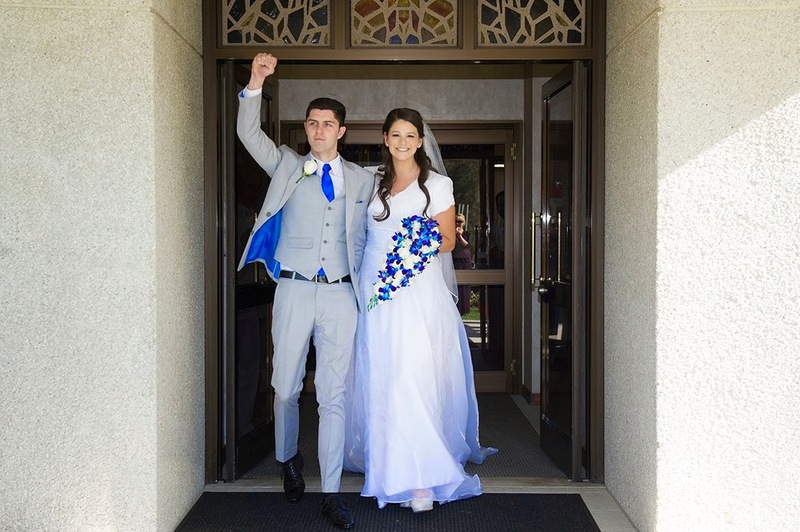 Congratulations Sarah and Patrick from all of us here at Urban Flower! 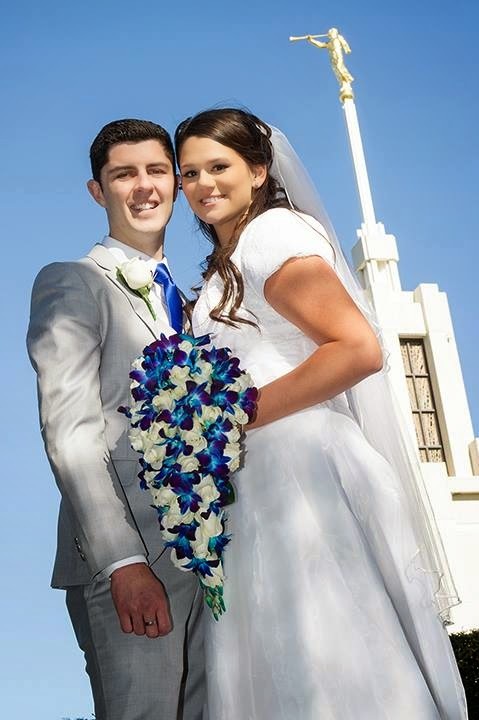 Sarah and Patrick were married at The Church of Jesus Christ of Latter-Day Saints Temple in Carlingford, Sydney. 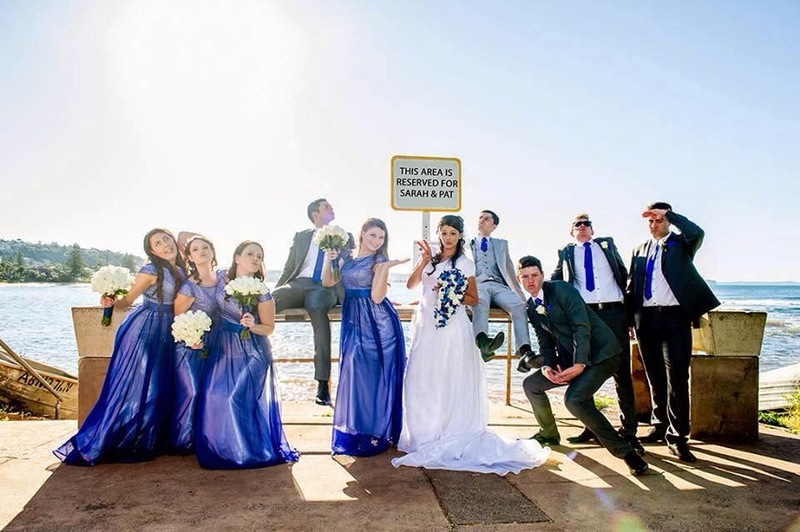 Their reception was held at Harbord Diggers Freshwater, Freshwater, Sydney. 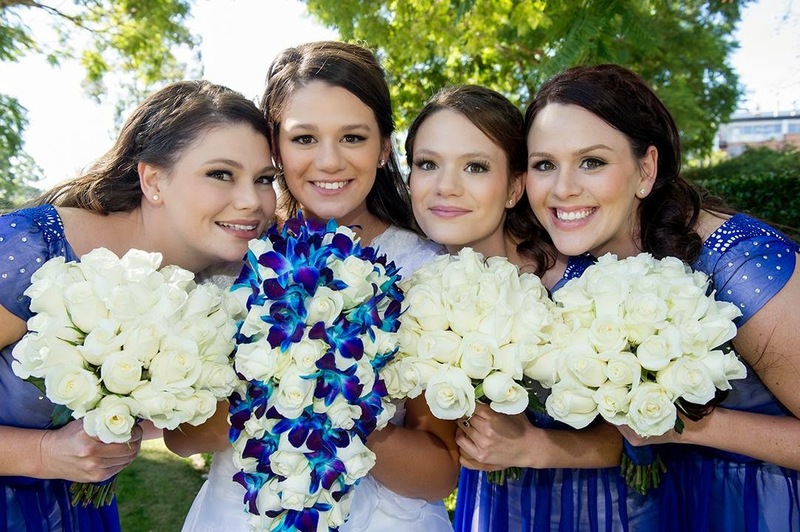 Wedding photos by Timeline Photography, Sydney. Every couple is different and every wedding day is unique.